Bird of Cuteness | Spaceship! Spaceship! Spaceship! 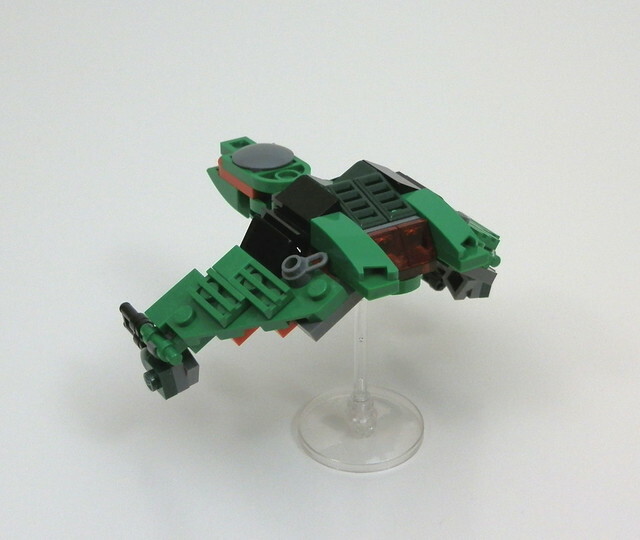 We’re having a Bird of Prey themed weekend here at spaceshipspaceshipspaceship.net; and we’re starting at the small end of the scale with this teeny-tiny offering by foxprimus101. What’s not to love about this palm-sized chuck of adorable Klingon war machine? The overall shaping is superb, the details are spot-on for the scale and it all captures the grungy Klingon aesthetic really well -I’m especially loving the red stripe around the “head”.